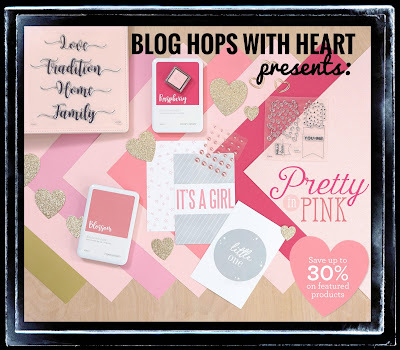 I know it's been ages since I've been part of a blog hop. So here's a little reminder of how they work. They're a fun way to visit a few blogs and end back up here. We're all posting artwork with a common theme "Pretty in Pink." At the bottom of my post is a link to the next blog. If you've come from Katy's blog, welcome! If you are just starting, you'll end back here after a few hops. 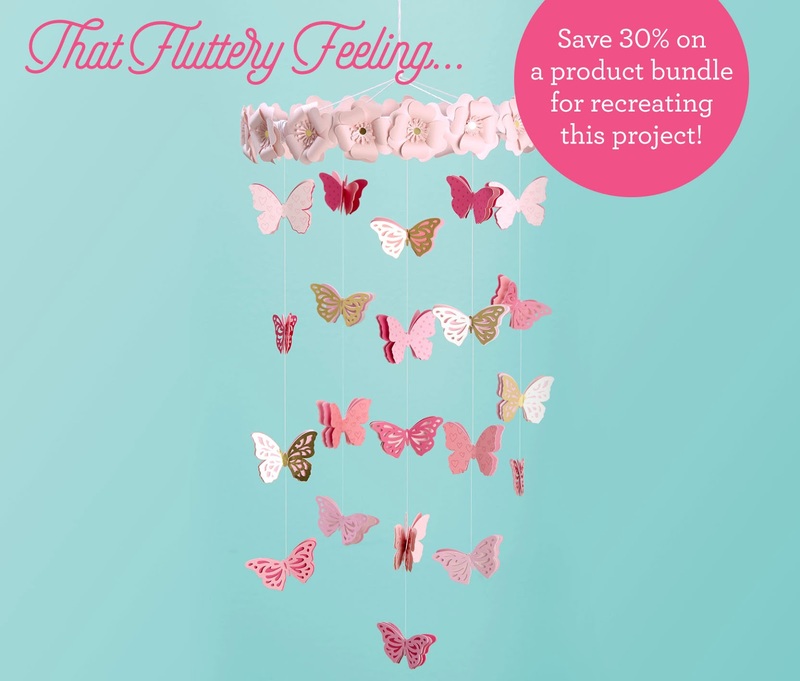 With the February 2018 Pretty in Pink special came a beautiful butterfly mobile. This was the start of my inspiration for my cards. 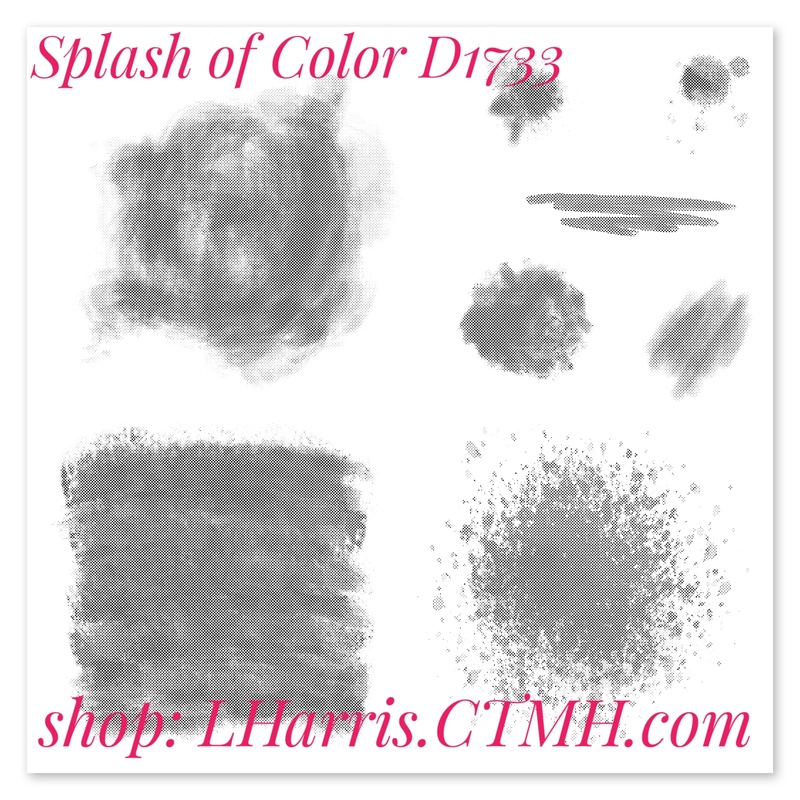 You can purchase pink items for 25% off in February or select bundles for a 30% discount. 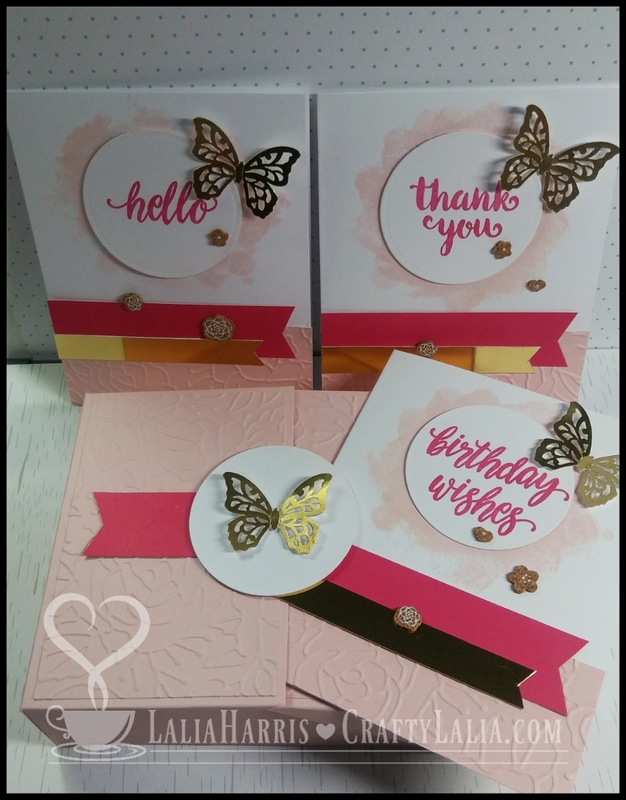 I used the butterfly from Artiste Cricut Bundle for my cards in gold foil as shown on the mobile. You can purchase all the supplies for the mobile in a custom bundle this month or make cards like I did. 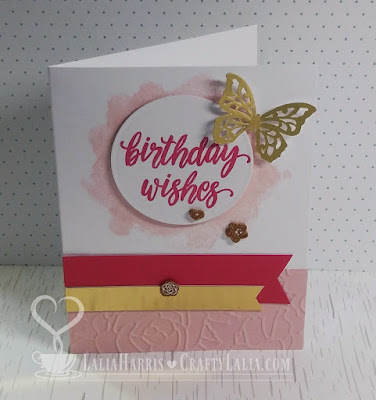 I used one of the patterns from our newest How To Book Make It From Your Heart vol 4 for this card. This was a horizontal card but I've turned it to make it a standard upright card. 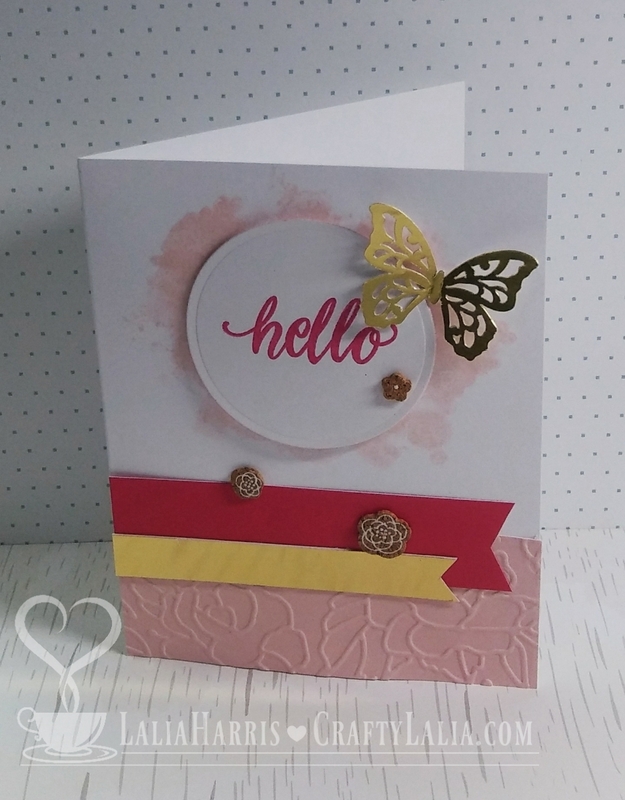 I added embossing to the Bashful piece with our Rose Embossing Folder. I used this month's Stamp Of The Month, Sunny Thoughts S1802. I did a little surgical alteration of my stamps. 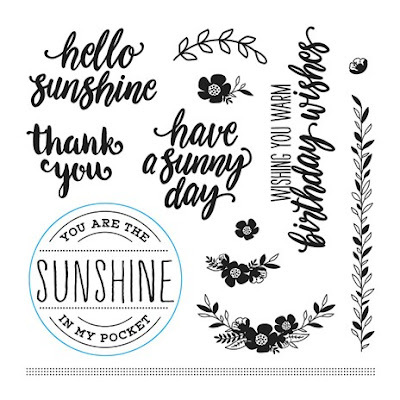 This is the stamp that used to say "hello sunshine"
I used the cork shapes from Gimme Some Sugar to embellish my cards because I liked the additional texture they added and they're super flat for mailing. I started with the Gold Glitter Gems that are part of the Pretty in Pink sale but ultimately stuck with the cork ones. This one used to to say "wishing you warm birthday wishes." This one was a little more tricky to alter but not a problem with our micro tip scissors. The Thank You stamp was the only one who escaped stamp surgery. All of the sentiments were stamped in Raspberry ink. Behind the circle I stamped the square from Splash Of Color D1733. This stamp set isn't solid and looks best when layered. In this case I rotated the squarish stamp more than 90° between impressions. I used Bashful ink. There are tons of stamps you can use for these cards that fit in a 2.25" circle. Check back for my next post featuring these cards with 3 other stamp sets and more details on my box. 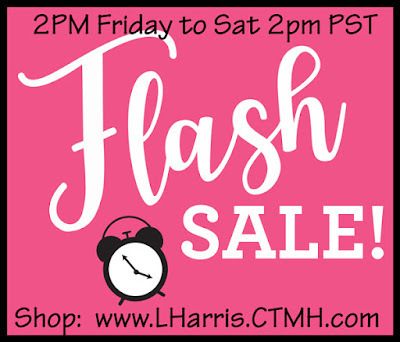 And today, Friday 2/23 there's a Flash Sale and as I'm writing this post, I have no idea what's going to be part of the sale so please give it a peek. It will open in a new window so you don't loose your spot in the blog hop. ATTENTION: the Rose Embossing folder for this project is on sale as well as all of our physical Cricut Cartridge bundles! Between this and the Pretty in Pink sale nearly everything but the white cardstock used on my card is on sale! Don't forget, if you purchase the SOTM from me, you'll receive a few card kit from me as a special thank you. Whew! That was a lot of eye candy for one blog hop post! Please keep hoping to Jayma's post to see more pink! I love that you surgically alter your stamps (me too!!) and all your lovely cards too. 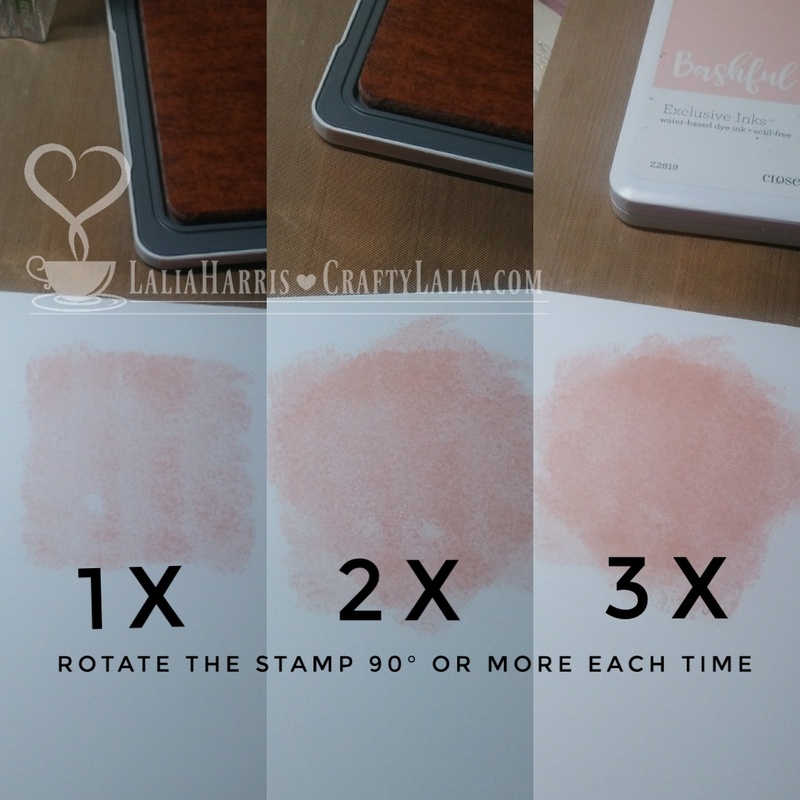 Why have I never thought of rotating the square stamp to layer??? Brilliant! I'm glad I read through your process because I was thinking the background was one of the other stamps. I'm crazy about the Splash of Color set already, but now you've made it even more versatile for me. 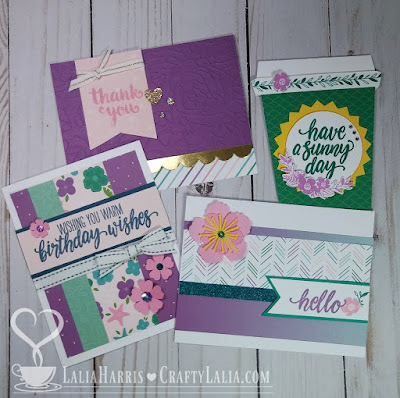 Great cards and perfect examples - both with "stamp surgery" and the rotating - to show different ways to get more out of a stamp set. LOVE how you used embossing folder AND Splash of Color (I have that set but haven't inked it up yet...might just have to NOW! ).